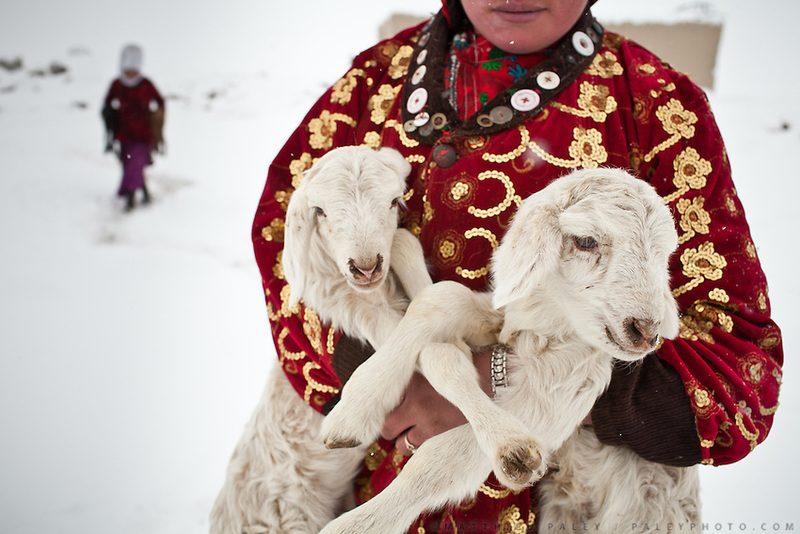 Atom Bubu, a daughter of the late Khan, carries a pair of lambs to be reunited with their mothers at milking time. For the rest of the day, the vulnerable babies are kept warm inside the dung fire heated huts. Outside in the bitter cold they would have no chance of survival..Kyzyl Qorum, campment of the former deceased Khan, Abdul Rashid Khan.